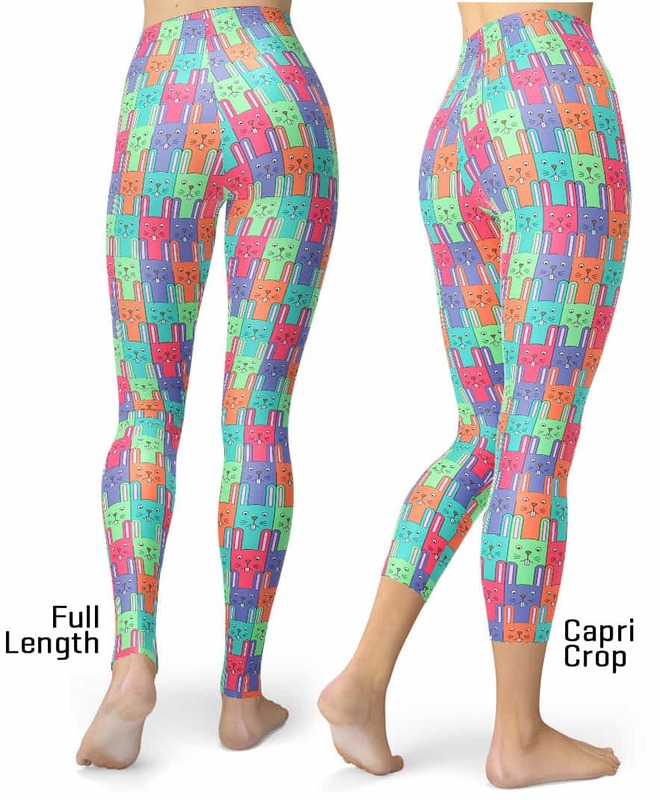 If you are looking for fun Easter leggings to wear for this Easter, then we have the perfect holiday leggings for you. 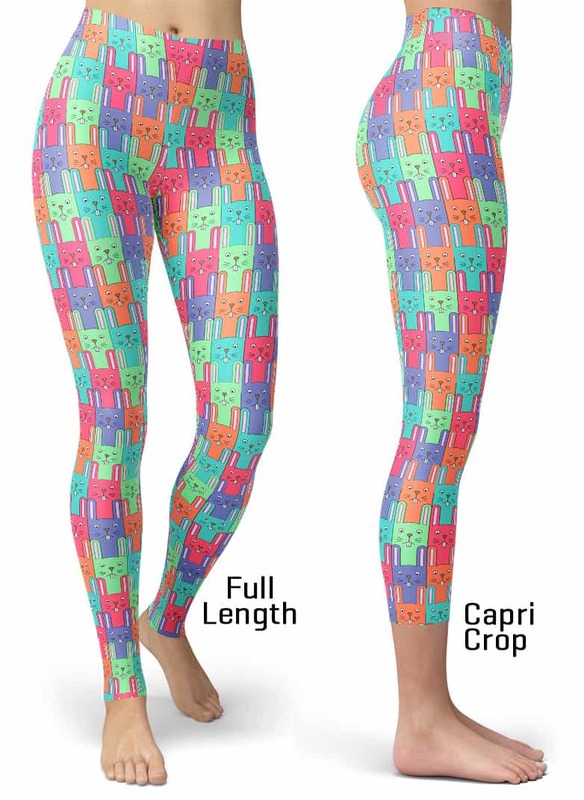 These leggings have a fun colored background with bright rabbit patterns resembling the Easter bunny. These holiday Easter leggings will never lose their stretch and provide that support and comfort you love in unique designs. Made 100% in California, sweatshop free.